from a nation embracing economic liberalization. Erie, PA, (May 27, 2015) – India is coming alive and flourishing economically. In fact, Citigroup estimates that by 2050, India will have the world’s largest economy, larger than China and the United States. For centuries, only the politically connected and elite prospered in the densely populated country, while the remaining residents lived in poverty. However, since 1991, more than 250 million people have been lifted out of poverty and are finding new ways to flex their personal and economic power. 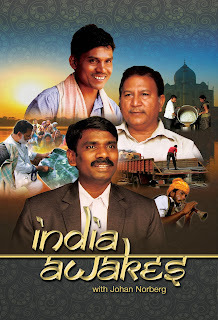 In the new 60-minute documentary, INDIA AWAKES, releasing nationwide on public television stations August 15, 2015 (check local listings), noted Swedish author, commentator, and Cato Institute Senior Fellow Johan Norberg explores an inherited British bureaucracy, which created layers of rules and regulations. Today’s globalization and economic liberalization have created fluidity between classes – and greater ambition. Norberg follows three individuals who are working to improve their lives, and in the process, breaking down the centuries-old caste system. Banwari Lal Sharma, the president of a growing street vendor association, is helping vendors in his area feel more empowered to demand their legal rights, after years of intimidation and bribes to corrupt local officials. Rama Bhai, a Sagai village leader and farmer, comes from a group called the “forest people,” who were once viewed as trespassers on the land where they have lived and farmed for generations. Using GPS technology and Google Earth they have now obtained deeds to their land. 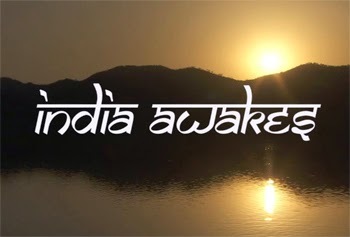 INDIA AWAKES (#IndiaAwakes) reveals the enormous power of unlocking human potential and ambition, and how doing so could establish this country as a preeminent world leader. Executive Producers for INDIA AWAKES are Thomas Skinner and Bob Chitester at Free To Choose Media. International commentator Johan Norberg is an author, presenter and editor whose focus is globalization, entrepreneurship, and individual liberty. He is a senior fellow at the Cato Institute and authored several books exploring liberal themes, including his newest, Financial Fiasco: How America’s Infatuation with Homeownership and Easy Money Created the Economic Crisis. His book In Defense of Global Capitalism, originally published in Swedish in 2001, has since been published in over twenty different countries. Norberg’s articles and opinion pieces appear regularly in both Swedish and international newspapers, and he is a regular commentator and contributor on television and radio around the world discussing globalization and free trade. His personal website is http://www.johannorberg.net/. Free To Choose Media produces thought-provoking public television programs and series, offering non-partisan, powerful stories that advocate for the well-being of every individual, as well as vibrant, fresh perspectives on a range of vital global and national issues. For more than 30 years, the Free To Choose production teams have traveled the world to explore topics such as the economic roots of the Arab Spring and the inspiring stories of entrepreneurs raising themselves and their communities out of poverty, and a look at how innovation and new technologies may be the answer to the world’s growing energy needs. Headquartered in Erie, PA, FTC Media is a television production initiative of Free To Choose Network, a global media company. For more information, visit the website at www.FreeToChooseMedia.org. For 60 years, WTTW Chicago has introduced a wide array of ground-breaking television programming – reflecting the world’s rich and diverse arts and entertainment scene as well as education, politics, public affairs, business, and religion – to a national audience. Its landmark innovative series and original productions include the music series, Soundstage®, which features today’s top pop and rock artists in an intimate concert setting. The popular cooking series, MEXICO — One Plate at a Time with Rick Bayless, is in its tenth season. Other original productions include performance showcases David Broza at Masada: The Sunrise Concert; Legends of Jazz with Ramsey Lewis; cultural/travel series Grannies on Safari; Vintage; Family Travel with Colleen Kelly; Dream of Italy; Curious Traveler; and the first travel series on bicycling, Pedal America; business series CEO Exchange; the documentary series Retirement Revolution; the weekly movie review series, Ebert Presents At the Movies; the transmedia online educational children’s properties Mission to Planet 429 and UMIGO, and the award-winning children’s series WordWorld. A new animated series, Nature Cat, premieres nationwide in November 2015. For more information, please visit wttw.com/national. Press Kit & Photography available at: www.indiaawakesfilm.com. Join the conversation at #indiaawakes.